08h00: Departure from Hammamet or Sousse or Port El Kantaoui. 10h15: Leave for Sidi Bou Said. 12h45: arrive at the first hotel. Carthage: The greatest power of the Mediterranean basin for centuries, the capital of Tunisia for hundreds of years, the granary of Rome, the city of the best sailors and the rich Murex makers.The home land of the great general Hannibal and the first archeological site placed under a strict UNESCO protection. Sidi Bou Said: The white and blue village under the UNESCO protection thanks to its Turkish, Spanish Andalusian and Arabic styles of architecture mixed together. 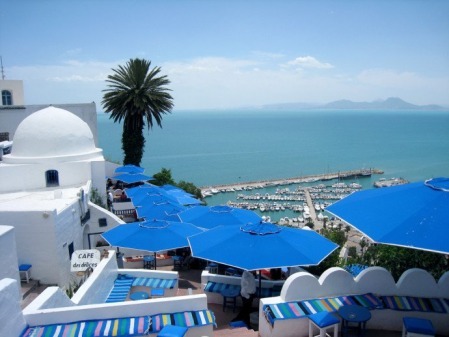 Sidi Bou Said is the village of the artists’ inspiration, musicians and celebrities.